Eckhart Tolle's message is simple: living in the now is the truest path to happiness and enlightenment. 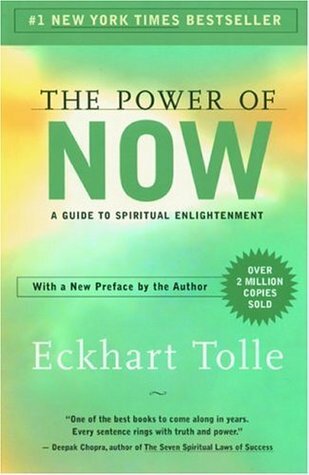 And while this message may not seem stunningly original or fresh, Tolle's clear writing, supportive voice and enthusiasm make this an excellent manual for anyone who's ever wondered what exactly "living in the now" means. Foremost, Tolle is a world-class teacher, able to explain complicated concepts in concrete language. More importantly, within a chapter of reading this book, readers are already holding the world in a different container--more conscious of how thoughts and emotions get in the way of their ability to live in genuine peace and happiness.